Sometimes you meet people in life for a reason. People that are so genuine that you instantly want to be their friends for life…. in a non-stalkerish way, we promise! 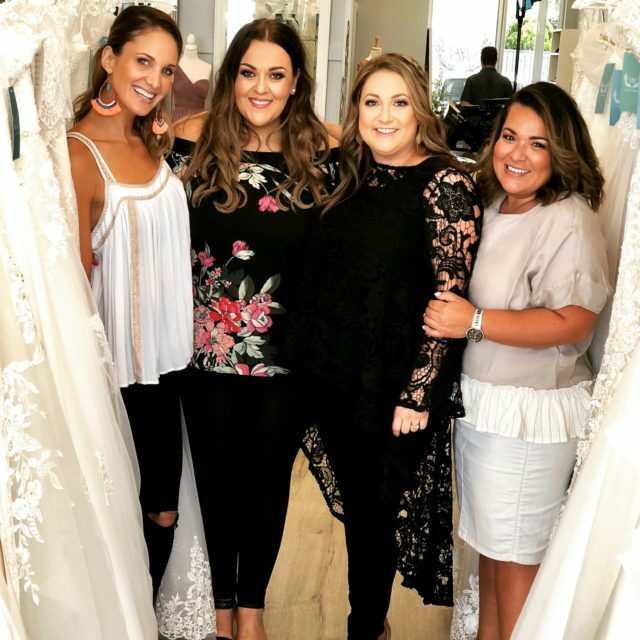 A few months ago Adelady got an email from Helen and Kelly at Ultimate Bride, and within days I was heading down Brighton Road to meet them, telling myself “you’re not going to try on any dresses, EVER”. I was scared they wouldn’t have my size and then we’d have to have the awkward conversation — you know the one, right ladies? Flash forward to 5 hours, numerous coffees and a slice of greek cake later, and we were besties sitting amongst the most beautiful wedding dresses . I’m not a stick so trying on any kind of formal dress is normally SO BLOODY DAUNTING, but not here. 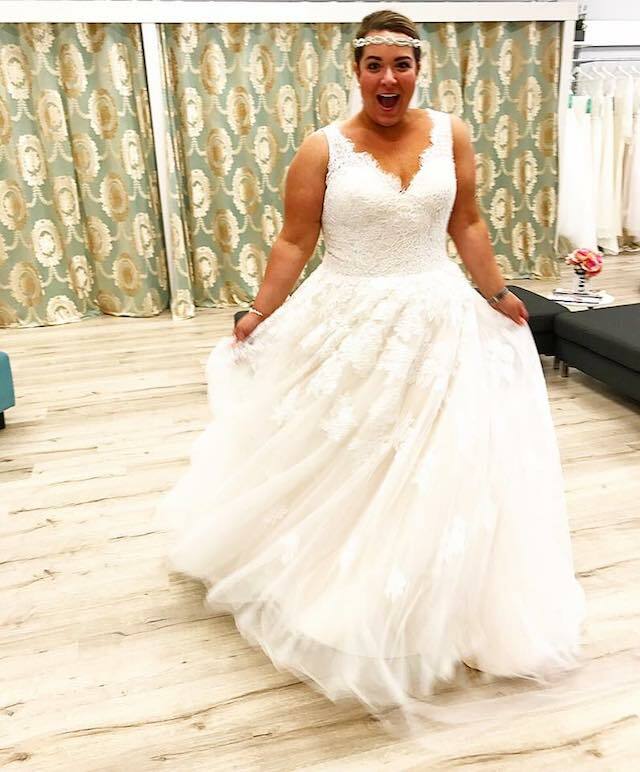 Ultimate Bride has dresses from a size 6 through to a size 30 out on the floor — do you know how good that is? Being able to walk into a store and knowing that there will be something there for you? There’s nothing worse than feeling like nothing will fit your body shape, or being made to feel like there’s something wrong with you. 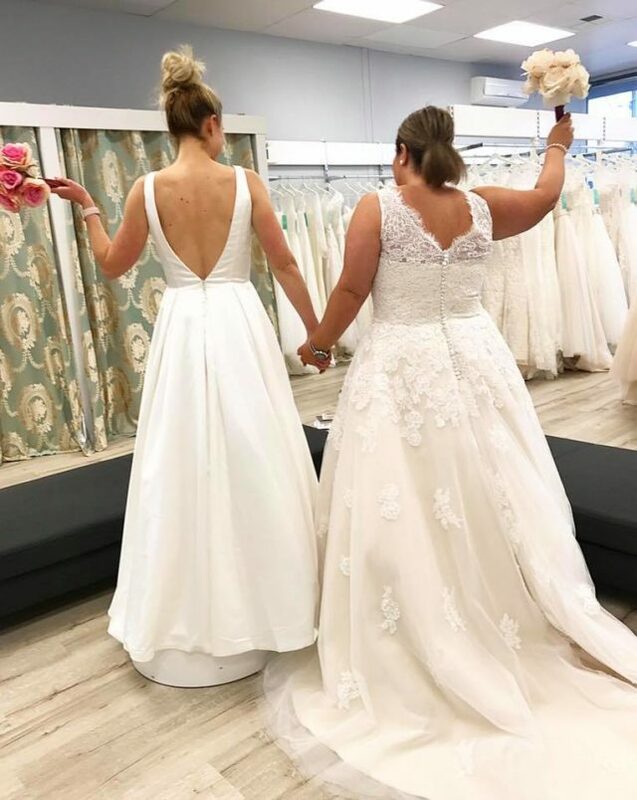 The truth is that women are made in all different shapes and sizes, and at Ultimate Bride that is something to be celebrated! 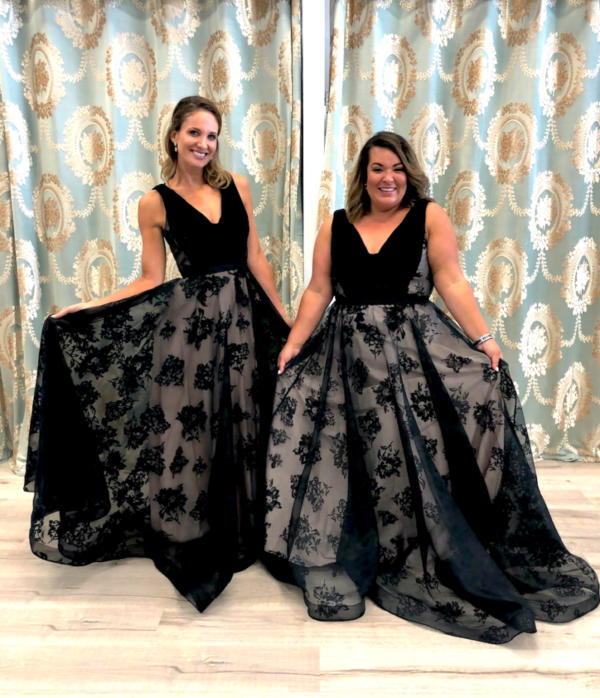 If you are getting married or need a bridesmaid / formal dress, Ultimate Bride is the perfect place to go — I promise. We are talking sizes 6-30 in store PLUS over 200 colours available… wow! Even Jo from Married at First Sight went there. She saw a picture of me in a wedding dress and went and bought the same one… ohhhh too bad about the guy she ended up with though…. but that’s another story! No need to start panicking over your pennies either, as the wedding gowns start at $599 and go through to $3000, plus you can always take Ultimate Bride up on their 6 month lay-by option for bridal gowns and bridesmaid dresses. And to top it all off, you can pick out your shoes, veil and bling for the day as well – all in the same place! What makes your visit worthwhile (apart from everything I’ve already said) is that you can be an Ultimate Bride… no matter what your expectations are. 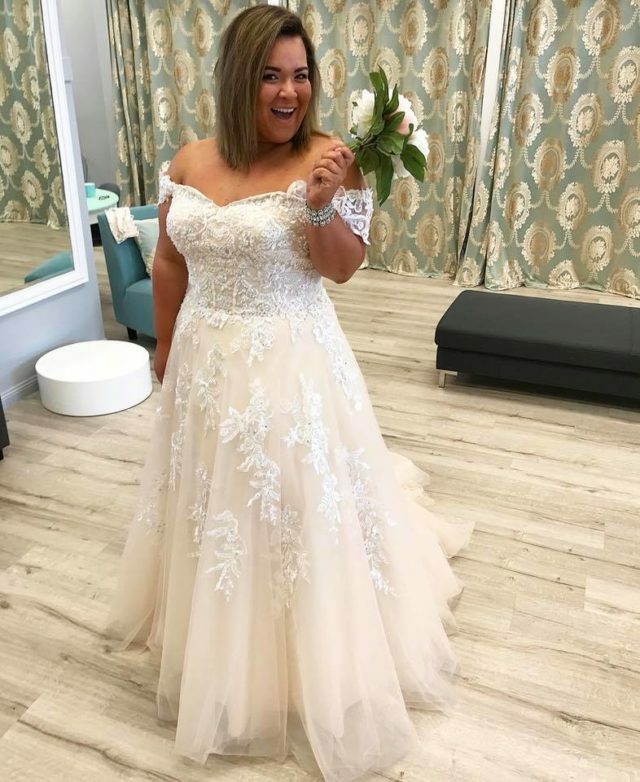 You can be ANY size (Hayley looked phenomenal in fitted, boho and princess styles) and you can choose your budget range! It really is true… these girls have made it possible for every bride to be an Ultimate Bride. To prove that Helen and Kelly really do know all about those wedding feels, here’s a little something from them as well. “Bridal gown shopping is fun! 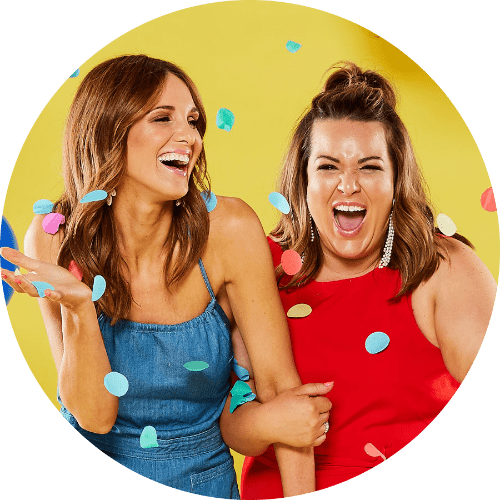 Its exciting, happy, and …. sometimes it can also feel a little overwhelming and like 1000 emotions hit you all at once (which is totally normal). Ultimate Bride understands all those feels and knows that bridal gown shopping is a very individual experience for everyone. This will mean that everyone will react differently to the entire experience. It’s important to remember that you are with professionals who will help you and guide you with all the right information you need to make you feel comfortable, confident and ready to find the one. 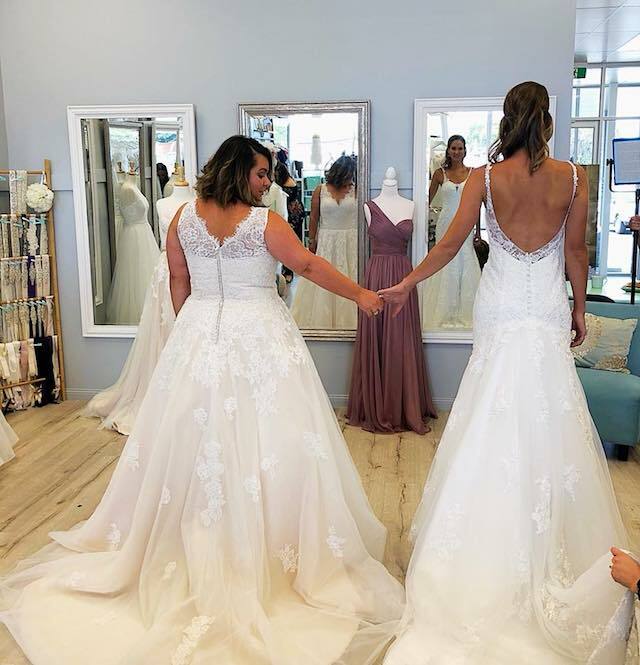 Once you’ve chosen some of the beautiful selection of gowns you want to try on, a bridal consultant will be with you to assist with any questions you may have, we will also be able to see what your feeling with each style you try on. This is also where all the ideas (and questions) start to flow! Do I want to wear a veil? All these questions will be answered naturally as you continue to try on more gowns. Your consultant is there for you and will be able to help you and suggest ways of making what you want come to light. Questions will be answered, ideas will be continue to come up… something that is important to focus on is… FEELING! You may have a wonderful entourage of people with you and they will let you know what they think and what they see, however it’s so important to remember that “everyone can see you, but no one can feel what YOU are feeling” — it’s something we say every day at Ultimate Bride. The way you feel can involve so many different types of questions and emotions like: how comfortable you feel, if you feel like yourself, what you picture being in “the one”, feeling beautiful and sometimes just feeling right! There are so many ways that we communicate the way we feel with body language and this is no different when we are trying on bridal gowns. It may not be something you even realise as there is a lot to think about when you are in a series of beautiful gowns, and that’s why the consultants of Ultimate Bride will be there. We are privileged enough to see special moments happen every single day. Special moments that evolve from a thought, an idea, a dream. Remember, it’s not just about how it looks – but how it feels.